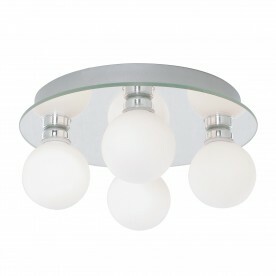 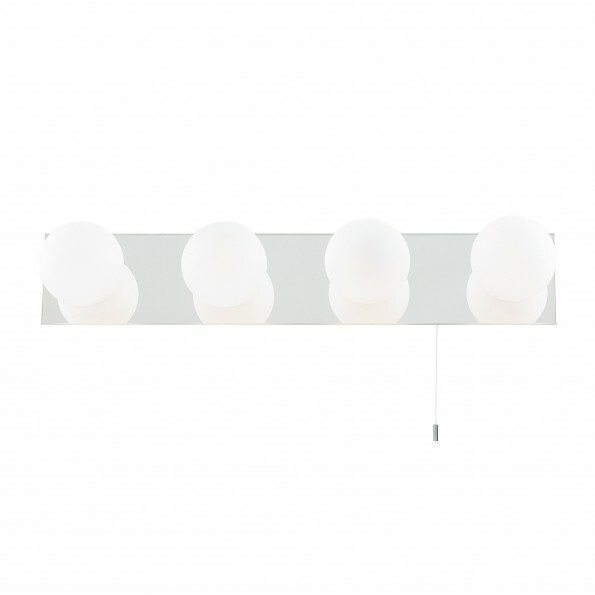 This IP44 Globe Chrome 4 Light Mirror Light with Opal Glass Shades is modern and glamorous. The mirrored backplate has a sleek chrome finish, and features four opal glass shades to brighten your mood and help you get ready. 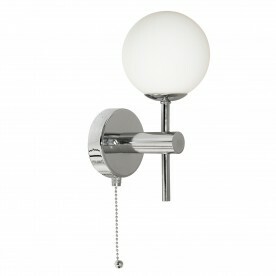 It is fully splashproof and perfect for your bathroom or kitchen, with a handy pull cord switch.